If you want a good example of how the human race has been manipulated for at least the last 2000 years, look no further than our Saviour himself, Jesus and the Christian religion. I am well aware this is a controversial subject, and I feel it is necessary to explain I have no issues with people being religious, Christians, Jews, Muslims, Satanists, whatever, as long as thats your choice and it makes you happy, you should do what you like! Its the enforcing of beliefs which is wrong. If you are open minded enough you will still consider the evidence which is being presented here no matter what your beliefs. I don't expect any critisism for my beliefs about Christianity, after all if i'm wrong i'll burn in hell for all eternity and thats punishment enough thank you. I have my own ideas on 'spirituality' if thats what you want to call it, perhaps I will have time to write about it one day*, but I think there's more to life than the physical world we experience, and I want to know what thats like, and I'm pretty sure I'll find out one day. *You can now read a little bit I have written on consciousness which ties into my beliefs. The Christian religion is based entirely on the Bible and the literal existence of a man named Jesus. Now don't get me wrong, there are many, if not most Christians who are genuinely decent people, but you only have to look at history to see how not just Christianity but Religions in general have been used as a tool for control. Over the last 2000+ years, millions of people have dedicated their lives to religion, giving up their freedoms and denying themselves the right to think for themselves, and millions of people who didn't dedicate their lives to this religion have been mercilessly slaughtered in the name of God, yet, there is no historical foundation for the gospels, they are symbolic and not literal. Christianity relates to ancient sun worship. Its the result of recycling a whole bunch of other historical accounts, religions, texts and myths. The story of Christianity in all its detail has been told all over the world for thousands of years before the birth of Jesus. Sorry Vicar. - The ancients recognised that the sun makes an annual descent southward until December 21st/22nd, then it stops moving southerly for three days and then starts to move northward again. During this time, which we know as the winter solstice, the ancients declared that "God's sun" had "died". This was symbolic of the 3 days of darkness when the sun stops moving. But the sun is symbolically born or "born again" on December 25th. - The main form of communication in the ancient world was symbolism and parable. - The Suns journey through the year can be seen symbolised as the sun cross. 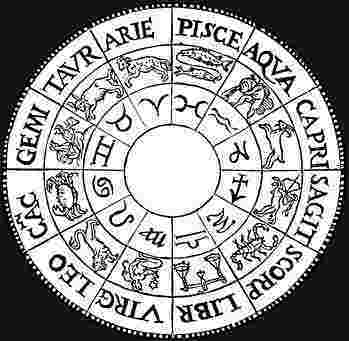 Another example of this is the Zodiac as shown below. Just this information alone tells a lot of the life of Jesus. - He was born on December 25th, traveled with 12 disciples, begins his fathers work at the age of 12, began his ministry at the age of 30, died on a cross and rose from the dead. - Rises on December 25th, travels through the 12 months, or signs of the zodiac, symbollically dies for 3 days during the winter solstice and then rises or is "born" on December 25th. The idea of Jesus dying on a cross can be seen symbolically too, the sun on the cross in the zodiac, representing the solstices and the equinox. The sun at 12 noon is in the house or temple of the "Most High", hence "he" begins "his Father's work" at "age" 12. And the sun enters into each sign of the zodiac at 30°; (30x12=360 degrees) hence, the "Sun of God" begins his ministry at age 30. Performing miracles and healing the sick? Well, the ancients were well aware of the importance of the sun, without the sun they understood the crops would not grow and life itself could not be, the Sun was, and still is, the giver of life, if you like. This is why there are so many stories about Sun Gods with the same reoccurring theme. - The sun is the "Light of the World." - The sun "cometh on clouds, and every eye shall see him." - The sun rising in the morning is the "Savior of mankind." - The sun wears a corona, "crown of thorns" or halo. - The sun "walks on water." That was all written about Jesus too! And who am I talking about here? Jesus again? This is actually written about Krishna, the Sun God of India. Apollo; Hercules and Zeus of Greece; Adad and Marduk of Assyria; Buddha Sakia and Indra of India and Tibet; Salivahana of southern India and Bermuda; Osiris and Horus of Egypt (Horus was the Egyptian God of light and Set was the God of Darkness, hence Horus-sun or Horizon, And Sun-Set); Odin, Balder and Frey of Scandinavia; Crite of Chaldea; Zoroaster of Persia; Baal (Bel) and Taut of Phoenicia; Bali of Afghanistan; Jao of Nepal; Wittoba of Bilingonese; Xamolxis of Thrace; Zoar of the Bonzes; Chu Chulainn of Ireland; Deva Tet, Codom and Sammonocadam of Saim; Alcides of Thebes; Mikado of the Sintoos; Beddru of Japan; Hesus or Eros, and Bremrillaham of the Druids; Thor, Son of Odin, of Gauls; Cadmus of Greece; Hil and Feta of Mandaites; Gentaut and Quetzalcoatl of Mexico; Universal Monarch of the Sibyls; Ischy of Formosa; Divine Teacher of Plato; Holy one of Xaca; Fohi, Ieo, Lao-kium, Chiang-Ti and Tien of China; Jupiter, Jove, Ixion and Quirnus of Rome; Prometheus of the caucasus; Mohammed or Mahomet of Arabia; Dahzbog of the slavs; Mithra of Persia, India and Rome. David Icke also recommends The Christ Conspiracy and The Book Your Church Doesn't Want You to Read for more information on these endless connections, but you can also check out the web for films and sites with more detailed info too. 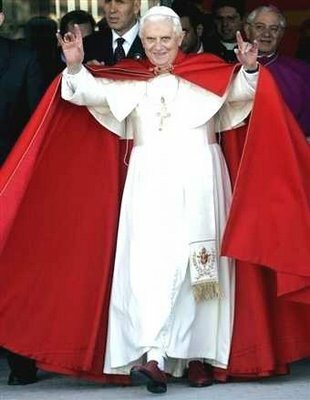 During the last 2000 years Christianity has spread all over the world, not through the free choice of the people, but, through manipulation and fear. Native people across the world have been slaughtered in the name of Christianity and at the same time their knowledge and histories destroyed. The hypocrisy is endless, Christians killing non Christians in the name of God! Even the Bible is available in so many different variations, (apparently over 50 in English alone I found out after a quick google search) The most widely used version is the King James Version 1611 C.E. However, as with most versions, it has a large number of errors given that none of the writers had a decent understanding of what they were translating. And other parts have simply been changed, added or removed, deliberately. King James himself could decide what the Bible did and did not say. That's a joke in itself isn't it?